It happens far too often. Someone has a few too many drinks and decides to get behind the wheel of a car. Approximately 9,967 people died in alcohol-impaired driving crashes in 2014. That accounts for nearly one-third of all traffic-related deaths in the United States, according to the CDC. Unfortunately, two lives were lost in a recent drunk driving accident that occurred on Ga. Highway 32 in Sterling. 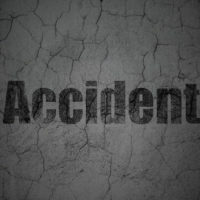 Glynn County Police reported that a 22-year-old man was driving under the influence when he crossed into oncoming traffic, killing himself and the driver of a Ford Expedition SUV, according to goldenisles.com. A teenage boy who was a passenger in the Expedition also suffered serious injuries and had to be airlifted to Memorial University Medical Center. This is a truly heartbreaking car wreck. Two lives lost and one life possibly changed forever as a result of this collision. It is also frustrating to think that if the 22-year-old driver had not gotten behind the wheel of his vehicle while intoxicated, maybe this awful crash could have been avoided. The family of the Expedition driver may have the basis to pursue a wrongful death claim against the negligent driver’s insurance policy. Wrongful death lawsuits cannot be pursued by just anyone who knows or is related to the decedent. Under Georgia law, only the decedent’s spouse, children or parents have the authority to pursue a wrongful death lawsuit on the decedent’s behalf. If the decedent did not leave a surviving spouse, child or parent, then the individual appointed the Administrator of the estate is vested with the authority to file a wrongful death claim. No amount of money will be able to bring your loved one back. Nevertheless, filing a wrongful death lawsuit allows you to pursue financial restitution for the financial stress associated with a sudden loss and to hold the negligent party accountable for their irresponsible actions. “Full value of the life of the decedent”. The “full value of the life of the decedent” is the broadest basis for a wrongful death claim and encompasses the loss of financial support provided by the decedent and the loss of companionship. It is the only claim that automatically vests with the spouse, child or parent of the decedent. You should retain an experienced Georgia wrongful death lawyer to assist in pursuing a wrongful death claim. A lawyer can help investigate the incident, compile evidence, and put together a compelling presentation that will (hopefully) persuade a judge or jury to find in your favor. Losing a loved one can be overwhelming. You should focus on picking up the pieces of your life. Gillette Law, P.A. in Florida and Georgia can help; we have the knowledge and experience with wrongful death lawsuits to ensure you receive top-notch legal representation.